Medical costs comprised 40% of workers comp costs ten years ago and have grown to 60% of total costs today, they are expected to climb to 70% within ten years. To address healthcare inflation, The Reny Company has solutions to manage and reduce the total continuum of workers comp costs. 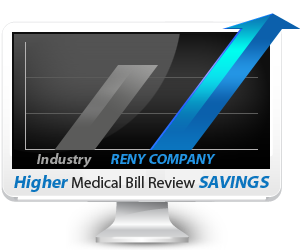 The Reny Company incorporates customizable workflow, state-of-the-art software technology and superior data analytics for medical bill review analysis. Our technology combined with one of the largest preferred provider networks ensures our clients receive maximum allowable savings. Our medical bill review services take bill auditing to higher levels of data reporting and cost control than ever before possible. We consistently generate greater savings and continually identify opportunities for additional cost control. We ensure maximum savings through measures, such as application of fee schedules and billing ground rules, and negotiation of fees whenever network discounts, state fee schedule reductions or other appropriate review rationale are not available. 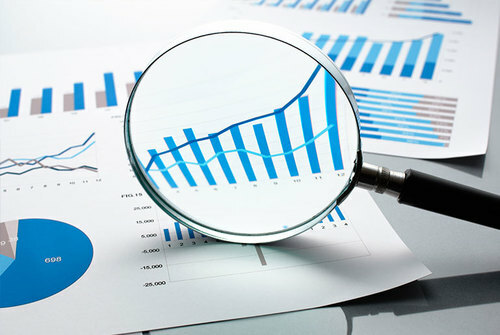 We also help clients save through the detection of improper billing practices, such as upcoding, code “unbundling” and billing for incidental procedures; and the detection of duplicate billings at the line, bill and claim levels. The Reny Company is a privately held, national medical managed care firm, which specializes in designing customer-specific innovative programs for first-party insurers, attorneys, municipalities and third-party administrators, that reduce costs associated with non-subscribers, maritime medical cost-containment, workers compensation, catastrophic injuries, liability and group medical claims. Bill review services can be performed in all 50 states. Effective medical bill review involves more than re-pricing to fee schedules. Find out why our clients are so loyal and how we consistently save them more money and time than any of our competitors. Contact us for a thorough analysis of your cost containment programs.